Fujifilm Imaging's vice president says he was quite surprised by the premium compact Canon G1 X. Speaking to TechRadar, Adrian Clarke said, "I was quite surprised when I saw that at CES, I don't know how well they're doing because it's a relatively high price." 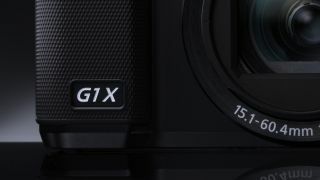 Canon introduced the G1 X in January. It features a large sensor which is almost as big as a Four Thirds device. Many have suggested that the same sensor will be used in a mirrorless camera, which is rumoured to be announced this year. Fujifilm introduced its first compact system camera also in January, but the company also includes premium compact cameras, such as the X100 and X10 as well. Clarke said he didn't view the G1 X as competition for its own models though. "The two cameras we've really looked at are the G12 and the S100," Clarke continued. "They do very well across the world. I can't say this definitely, but I'm not sure the G1X has proved quite the success as the other two." Last week, Clarke told us that he believed Canon introducing its own CSC would be a real catalyst for driving market growth. Keep watching for any rumours or announcements as they happen.